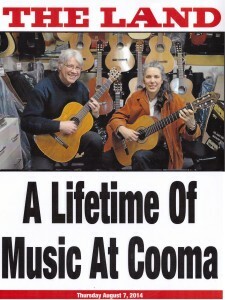 Allan & Leslie Spencer graduated from the Queensland Conservatorium of Music in 1982, majoring in the classical guitar. They also undertook postgraduate studies with Peter Calvo at the Sydney School of Guitar. 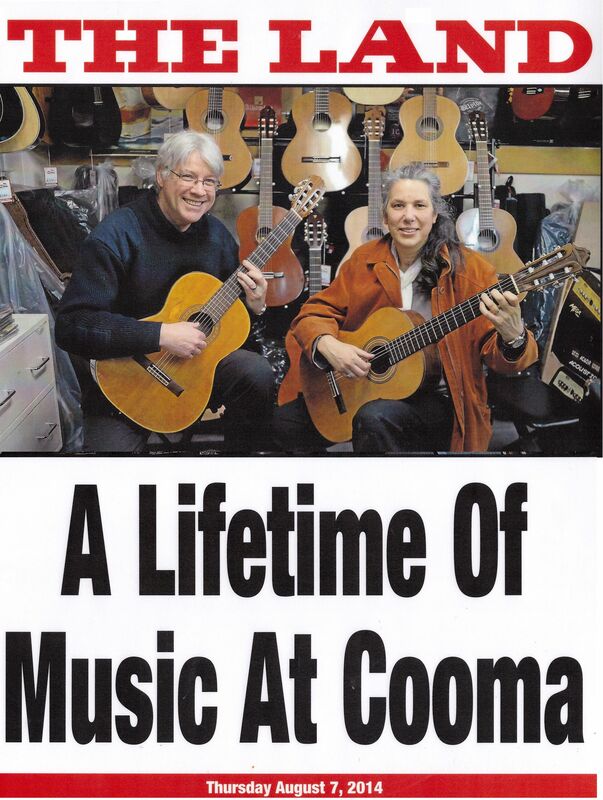 After teaching for several years in private schools and colleges they decided, with Peter Calvo’s encouragement, to move to Cooma and start up their own music school as a husband and wife team. After initially offering classical guitar tuition, the school now offers, besides the guitar, tuition in piano, keyboard, woodwind, brass, strings. singing, songwriting, music theory and musicianship. There are now 8 music teachers teaching over 100 students. 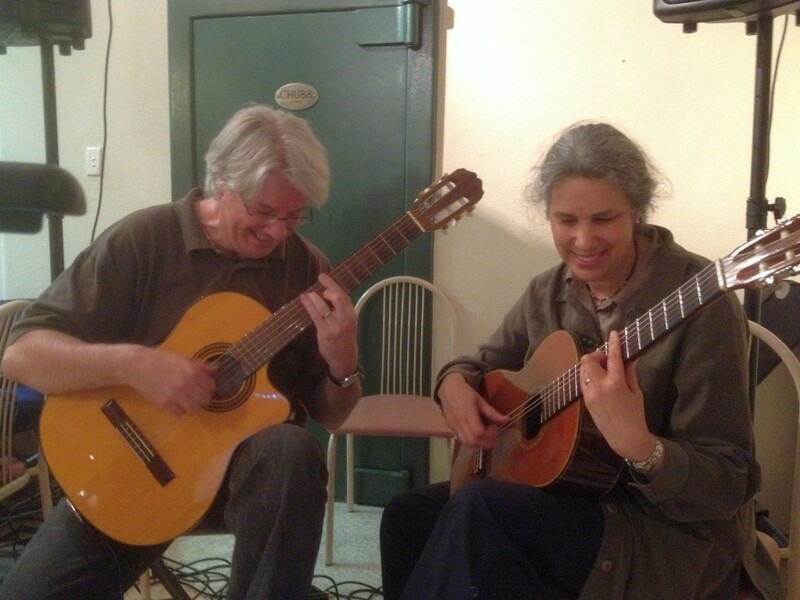 Allan and Leslie are still passionate classical guitar players and perform regularly in solo, duo, trio, and ensembles such as the Canberra Guitar Ensemble and the Cooma Guitar Ensemble. Leslie has also conducted the Cooma Harmony Chorus, a community-based choir for over 18 years. Over the years, Cooma School of Music, in association with the Snowy Monaro Arts Council, has presented many concerts and workshops. Besides our regular student concerts, we have promoted many visiting performers of the piano, strings, voice, woodwind, and brass. These events have covered a variety of formats including solos, small and large ensembles, and orchestras. And, not surprisingly, we have had many wonderful visiting guitarists including: Slava and Leonard Grigoryan, Guitar Trek, Karen Schaupp, Minh Le Hoang, Jacob Cordoba, Rupert Boyd, John Couch, Anthony Garcia, Tony Vandermeer, Russell Neville, Mark Norton, Craig Ogden, Remi Boucher (Canada), Douglas Black (USA), John McClellan (USA), Marian Budos, Jan Labant (Slovakia), Michael Fix (Fingerstyle), Phil Manning (Blues), and Damon Davies (Blues). Allan and Leslie also conduct a weekly open mic night which is held at the Alpine Hotel in Cooma. This open mic is held every Tuesday night and it provides a wonderful opportunity for musicians to share their music with others in a supportive and fun environment. We even get to have a great singalong-jam session at the end of the night. The Tuesday Night Open Mic starts at 7 pm and it’s free. Cooma School of Music conducts three annual music competitions: Cooma Youth Music Awards, Cooma Music Competition, and the Australian National Busking Championships™. These have proved to be very popular and rewarding events. It has helped showcase the many fine musicians in the region. We also support the annual Snowy River Country Music Talent Quest, Adaminaby Easter Fair Talent Quest, Bombala Country Music Talent Quest, and Jindy Idol. The retail aspect of the Cooma School of Music is a very important part of our operation. The music shop offers a complete music service to the community and we have strived to provide this service not only to our own students but also to schools, community groups, and the general public. The music shop is often praised for its wide range of quality and affordable musical instruments and accessories. We also have a very large range of print music. Hi Stephan, lovely to hear from you.